Some of the people who connect with me over my website are pretty inspiring. Recently, my team was contacted by 13-year-old Claire Gammon — a young ADD fashion blogger and model. Check out her site at The Trend Sisters. Claire has been blogging for just over a year. She’s a great role model for ADHD Kids who want to share their stories, or get more involved in anything they’re passionate about. If you’re wondering why we’re covering a story from a girl who has ADD, see my note about the difference between ADD and ADHD at the bottom of this post. On to the story… thanks to my team member Lindsay for interviewing Claire. Enjoy! Claire Gammon has always loved art. But school has been a bit of a struggle. Even though she and her three siblings are home-schooled, she’s struggled with math and creative writing, and still dealt with bullying and being excluded by other girls. Just over two years ago, her mother took her to do some tests and she received a diagnosis of ADD. The ADD diagnosis surprised Claire. “It was kind of a shock. I didn’t expect it,” Claire said about the diagnosis. She felt uncertain as to whether this diagnosis would cause problems for her future. Thinking outside the box to help her daughter, her mother tuned into Claire’s passion for fashion and suggested she write a fashion blog. This would help her with her creative writing and give her a place to express herself. Her older sister Gabby agreed to help. “She had trouble expressing herself verbally, so we thought we’d try it in a written form,” her mother said. “I’d like to encourage other ADD kids to do what they like to do and not worry about their disability,” Claire says, though she clearly does not see her ADD as a disability. Some of the girls used to bully her a lot because she was quiet, not outgoing. But now, they see what she’s produced and they want to be involved in it. After accomplishing over a year of blogging, Claire is pretty confident that her ADD won’t be a problem in her future. The way she sees things, she thinks her ADD enables her to be really great at art, which is what she loves. “I actually do better because of my ADD, I have more creative tendencies.” She hopes to pursue a job as a fashion designer in the future — her blogging success should help her work towards that goal. If you’re interested in starting your own blog, you can do it for free. Claire’s blog is built on a platform called WordPress.com. It’s a quick place to start a blog and see if it’s for you — and you can always upgrade your platform later. Sign up for an account, pick a theme, and start writing. You can share what you write on social media, but be careful out there. Claire’s mom was smart to get involved in managing their social media, to ensure her girls were protected against possible lurkers. If you’re looking for a more powerful platform, ADHDKidsRock.com is built on a different version of WordPress which you can download for free at WordPress.org. You might be asking why we’re covering a story about someone who has ADD, not ADHD. Well, the condition known as ADD (Attention Deficit Disorder) is considered to be an out-dated term, and ADD is now officially considered a type of ADHD. In May 2013 the American Psychiatric Association included ADD under ADHD in its diagnostic manual (the DSM). Now, ADD is officially considered to be a type of ADHD, the “Inattentive” type. 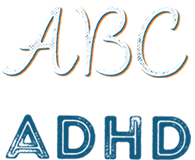 Author and ADHD Expert Chris Dendy says “doctors call this ADHD… teachers call this ADD.” Check out Chris Dendy’s website and books about ADHD here.